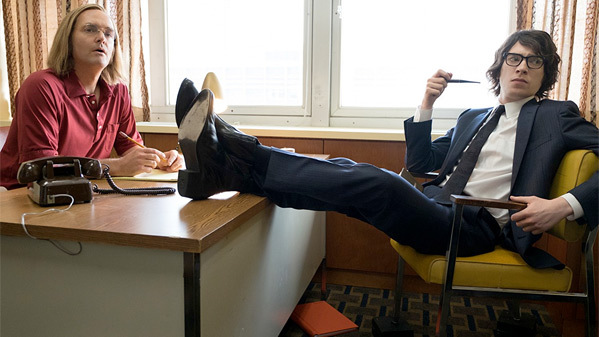 Netflix has launched an official trailer for a new film titled A Futile and Stupid Gesture, from director David Wain, who is already working with Netflix to bring you the "Wet Hot American Summer" series. The sort-of-doc film profiles Doug Kenney, the comedy wunderkind who co-created the "National Lampoon", Caddyshack, and Animal House. It premieres at the Sundance Film Festival and hits Netflix next January. One description explains: "In the 1970s and '80s, National Lampoon's success and influence creates a new media empire overseen in part by the brilliant and troubled Doug Kenney." This reminds me of the other National Lampoon documentary that played at Sundance, Drunk Stoned Brilliant Dead. This is much more than just a doc as it features a full cast recreating many of the moments in Kenney's life. Will Forte plays Kenney, and the cast includes Emmy Rossum, Domhnall Gleeson, Seth Green, Natasha Lyonne, Annette O'Toole, Paul Scheer, Joe Lo Truglio, and Finn Wittrock. You might want to check this out. A Futile and Stupid Gesture is the story of comedy wunderkind Doug Kenney, who co-created the National Lampoon, Caddyshack, and Animal House. Kenney was at the center of the 70’s comedy counter-culture which gave birth to Saturday Night Live and a whole generation's way of looking at the world. 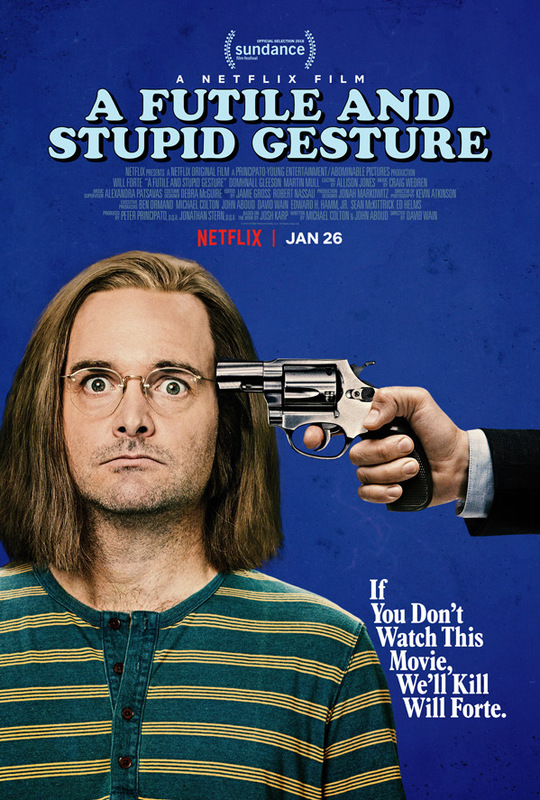 A Futile and Stupid Gesture is directed by veteran comedy filmmaker David Wain, of the films Wet Hot American Summer, The Ten, Role Models, Wanderlust, and They Came Together previously, as well as the new "Wet Hot American Summer" series for Netflix plus lots of other comedy work over the years. The screenplay is written by John Aboud and Michael Colton; based on Josh Karp's book of the same name. This will first premiere at the Sundance Film Festival in early 2018. Netflix will then release A Futile and Stupid Gesture streaming exclusively starting January 26th, 2018 after it premieres at Sundance. Who's excited for this?